What comes to mind when you think of quick Cloud Solutions? 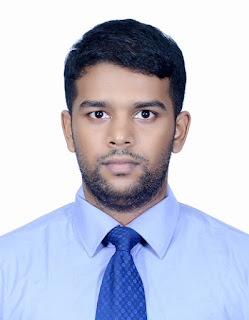 Yes it is Finetech Consultancy, the largest partner of Google in Sri Lanka. Since Cloud is the next biggest revolution, we have our very own methods of assisting our clients, while we have 400+ customers in different sectors. Expertise at Finetech, are empowered to Prospect and qualify prospective buyers for the products sold by the Company. Our expertise are the best because we go in par with Google, we have up to date technological knowledge as our employees keep on learning & get certified for their area of work. So This article will talk mainly about our Sales Team, the heart of Finetech which beats for its customers. Sampath Basnayake - Head of Sales Engineering and Account Management. The guy who is concerned about a healthy lifestyle just as his office work. 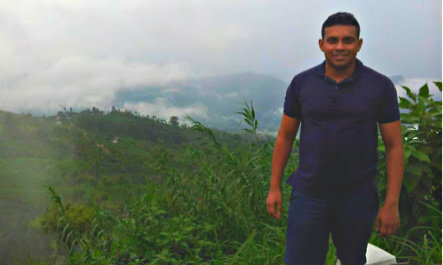 Sampath holds a bachelor's degree in Computer Science & Software Engineering from Edith Cowan University of Australia.
" I joined in the early days of Finetech, so I have come across lot of phases in Finetech. Today we can be happy for what we are. Finetech is a nice place to build one’s future. We provide cloud based solutions. We are ranked 14th in Asia. That’s just an example of who we are. We have 400+ customer base including Sri Lanka, Bangladesh, Singapore & Maldives. We have partnered with one of the strongest brands in the world, which is Google & that’s to bring you the best." Moreover Finetech has a complete change management process to support businesses to migrate to new technological platforms because we have understood the urgent technology challenges in the world. The main topic will be how to face technological evolution & how to handle new entrants, get over different crises. In nutshell, what to change in a business to achieve more. Also a 24/7 online assistance to serve our clientele, to find solutions for them & to keep them going without any interruption. We will assist our customer’s any technical issue from anywhere we are, no matter what. Niranjala, having 10 years of previous experience in the IT field has done her bachelors degree in Electronics and Telecommunication & completed her specialized training at Arthur C Clarke. Later she has got qualified in CISCO too.
" It’s been 1 year and 2 months since I joined Finetech. I can say that I was able to build up my potential in a massive speed. Also Finetech has offered me the best. During the day we come across lots of sales related issues, but with the help & collaboration of my sales colleagues we make sure we get through all of those to serve the best "
-Conduct Google product presentations to customers. -Work with software engineers and project coordinators in evaluating the requirements of qualified prospects. be submitted to the prospective customers. -Ensure that the annual and quarterly targets are met. -Organizing awareness events for the Government sector.
" Life in Finetech Consultancy has been a journey of 9 months to date.It has been an amazing experience so far in this organisation, mainly aligning and architectural our enterprise solutions with Google Cloud Platform.Surely the passion i had for cloud technologies was enhanced at Finetech, compared to my industry experience with other Cloud Platforms in my past tenures. My role in finetech an expert blend of sales, technology and strategy. Most of the time will be spent on the engaging with new customers consulting the value of Google Cloud solutions. 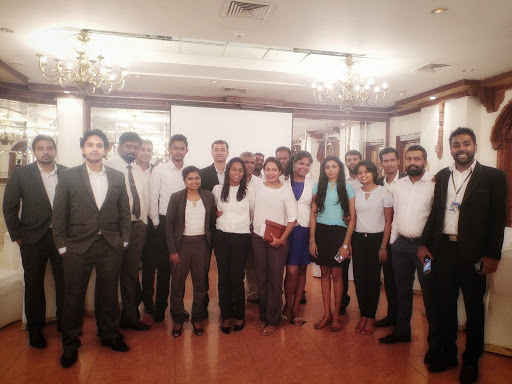 Our team has inspire Top End Banking and Financial Enterprises and Large Corporates proactively on how Google Cloud solutions can assist more productive, mobile, and collaborative way of work, while maintain relationships with clients and work cross-functionally to devise solutions. " Thiyan, our quick solution provider for anything in the office. Also very much concerned about the shape of his body & very keen on visiting the gym. Thiyan has completed his bachelor’s degree in Robotics and Mechatronics from Swinburne University of Technology.
" Though I have worked in several other places, never found a family like Finetech. I can refer this place as a School, because Finetech helps us to grow as employees & also in the meantime Finetech help their clients to grow by nurturing them. Also Finetech educate the clients how to expand & use google products effectively. To meet client business needs, we convey the total business applications to interface & mechanize business forms and streamline the IT framework. Finetech conveys these answers for the end client by keeping up a solid system of partners." In case if you missed our stories..